An Alien Code May Be Hidden Inside Our DNA! The code is a flexible mapping between codons [the initial nucleotide from which translation starts] and amino acids, and this flexibility allows modifying the code artificially. But once fixed, the code might stay unchanged over cosmological timescales; in fact, it is the most durable construct known. Therefore it represents an exceptionally reliable storage for an intelligent signature. The chances that such mutation in tRNA/aaRS is accompanied by corresponding mutations in coding genes all over the genome resulting in unaltered proteins are vanishingly small, given that there are dozens of such codons in thousands of genes in a genome. Thus, the machinery of the genetic code experiences exceptionally strong purifying selection that keeps it unchanged over billions of years. To prove the theory, scientists would have to find patterns in the DNA that couldn’t have formed naturally. Terrestrial code, they say, may “display a thorough precision-type orderliness matching the criteria to be considered an informational signal.” Simple arrangements of the code could reveal a series of mathematical and “ideographical” patterns of symbolic language. Shcherbak and Makukov are not the first to come up with this idea. And in fact, it’s a theory that’s been around since the 1970s. There have even been some early efforts to find some kind of code or message in our DNA. 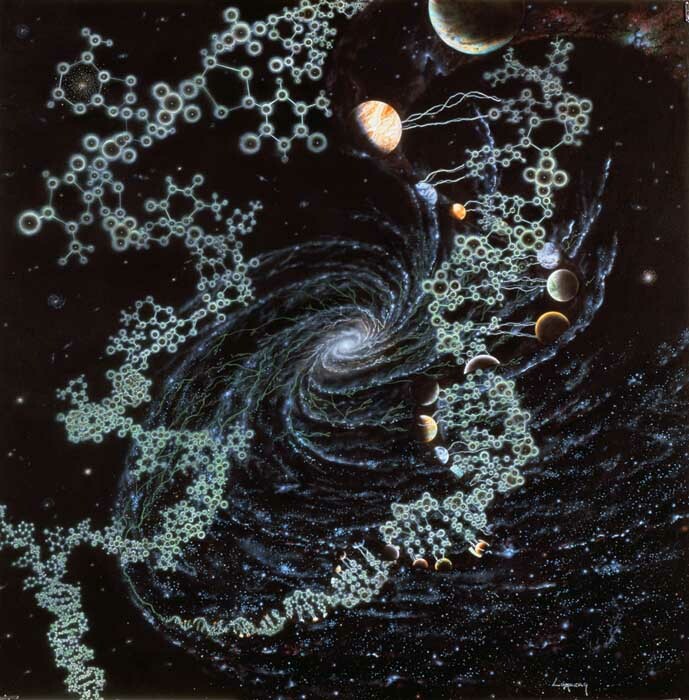 Paul Davies recently made the case for “Genomic SETI” back in 2010. But credit where credit is due: This is the most thorough investigation of the topic I’ve seen to date. Of course, that doesn’t mean they’re correct. There are several things to consider. First, it is not immediately obvious that this is in fact the most efficient way of communicating across cosmological distances. If anything, it seems like a convoluted and overly-complex method. What’s more, other communication schemes, like self-replicating Bracewell probes or concentrated beams of laser light, may make more sense. Second, the panspermia hypothesis has yet to be proven. In the meantime, Darwinian natural selection and some (admittedly) unknown chemistry remain the axioms in charge. Lastly, other biological and chemical reproductive processes may exist, or may even be more practical. 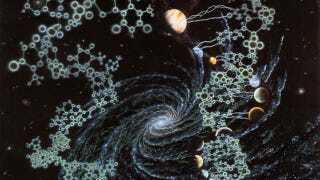 Moreover, this schema would limit extraterrestrials to communicating with planets with the same biochemistry as ours. For us, that means L-amino acids, protein synthesis based on the same genetic code, and so on. At any rate, it’s a fascinating paper, and plenty of food for thought.